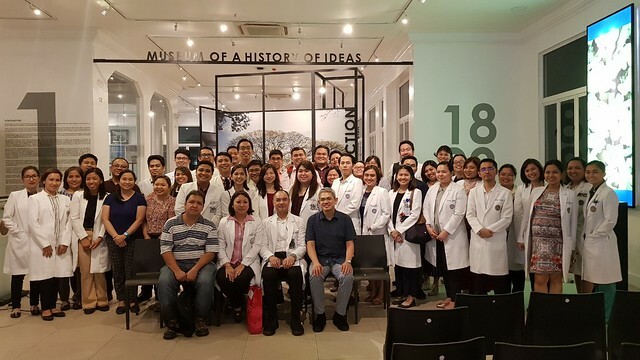 I had a great time moderating the PGH-sponsored PSMO Round Table Discussion on AIDS-related Malignancies. 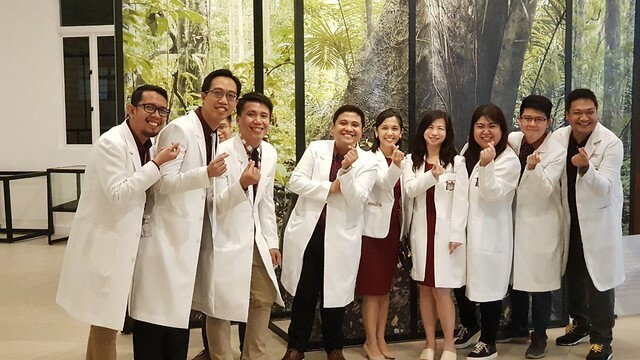 Our case was that of a 29-year old male with Kaposi sarcoma, presenting with cutaneous lesions as well as with internal organ involvement, i.e., lungs and liver. Rich King and Fred Ting discussed the details of the case and principles of management. 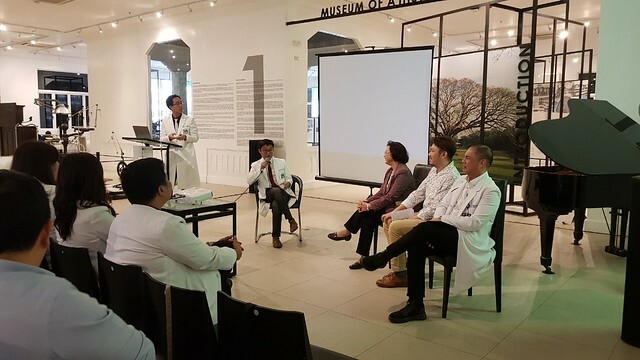 Because I moderated the program, I had the chance to mine the clinical experience and expertise of our guests in the panel discussion. 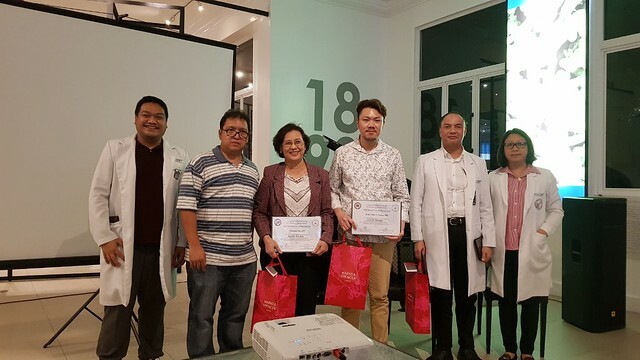 We were so grateful to have learned a great deal from Dr. Franscisca Roa (Dermatology), Dr. Dessi Roman (Infectious Disease), and Dr. Gracieux Fernando (Medical Oncology). 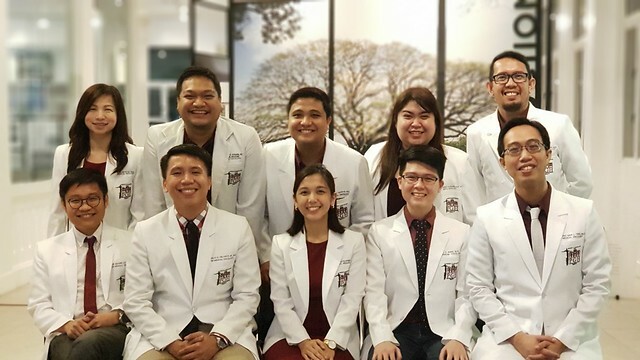 Our colleagues from the seven other training institutions—St. 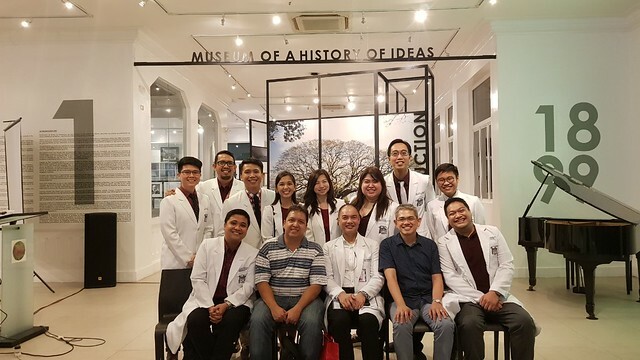 Luke's, Makati Med, Veterans, Jose Reyes, Medical City, UST, and NKTI—were wonderful, answering spot-on the questions we threw at them, and sharing their institutional experience regarding the case. Here are photos taken by Norman Cabaya. There is no critical CD4 count that determines whether chemotherapy may be allowed; CD4 levels are largely unreliable for this purpose. As long as the patient is clear of opportunistic infections and has good functional status, systemic chemotherapy may be done. Management of Kaposi sarcoma is largely interdisciplinary. Presence of disseminated cutaneous lesions with internal organ involvement is an indication for chemotherapy. First line chemotherapy is liposomal doxorubicin. If finances may be a problem, we may use plain doxorubicin instead. Ooh, I attended a wedding in that museum. 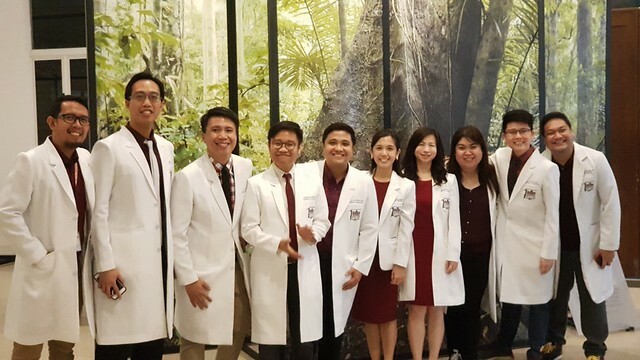 White coats talaga kayo even among yourselves, ha!